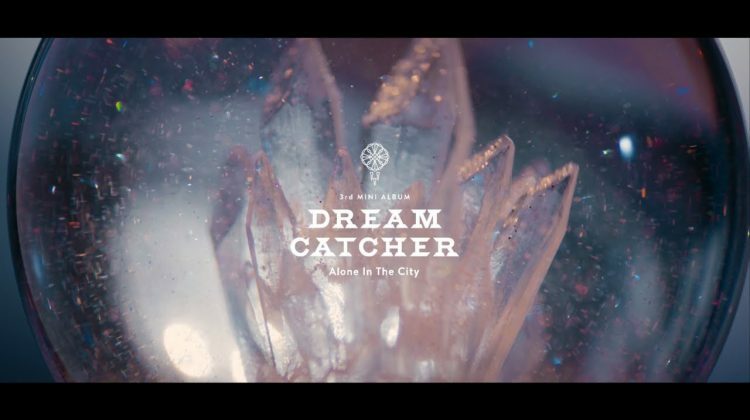 During the evening of 25th February at the Trianon, Paris welcomed Dreamcatcher, the first K-Pop female group to hold a solo concert in France! Thanks to the enthusiasm of the fans who have gone through all the required steps to fetch the group, the teams of MyMusicTaste have succeed organised an « Europe Tour » in 7 countries! Even before the concert start, the crowd was already bursting up with a loud of voice the songs of the group, promising a great atmosphere throughout the concert. With a little delay, Dreamcatcher finally appear on the stage, under the screams of an excited crowd. The girl band did a series of performance after performance. If the first part of the concert was dedicated to their own songs like ‘Chase Me’, ‘Trust Me’, ‘Lullaby’ or ‘Full Moon’, the second part was animated by a lot of covers of American pop song like ‘Sunday Morning’ by Maroon5 and ‘We Are Never Ever Getting Back Together’ by Taylor Swift. They also performed famous Korean hits like ‘Into The New World’ by SNSD. The group didn’t miss the opportunity to show all of their artistic talent with a special dance performance of ‘Believer’ by Imagine Dragons which impressed everyone! 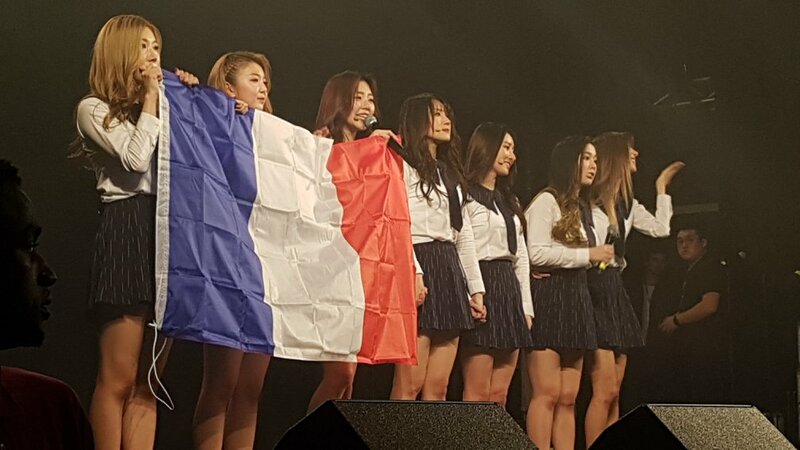 As a tradition in a Korean concert, intermissions in between shows allowed Dreamcatcher to express their joy of finally meeting their French fans. That was the opportunity for them to show a few words that they learned in the Moliere’s language. 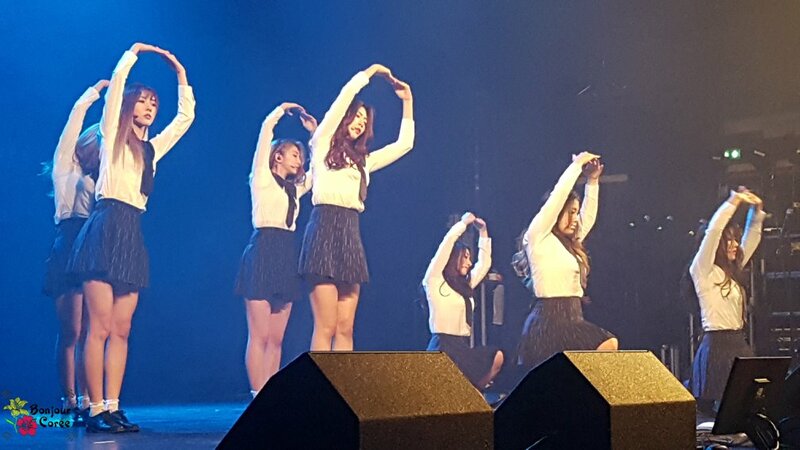 Yoohyeon declared her love to all the fans by shouting « Je te kiffe » (I really like you in French). One thing is sure, the interactions between fans and idols wasn’t lacking, to the point that it become ubiquitous all evening. Maybe to the detriment of the interpretation of their songs, but how could you not please fans during a concert? In addition to the numerous exchanges during the performance, the members of the group also participated in a session of questions/answers. The crowd could learn more about these seven young girls. 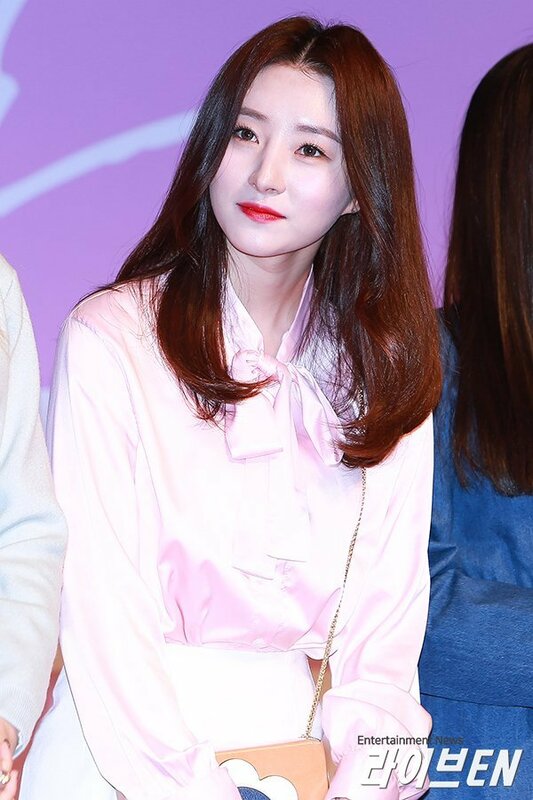 One of them expressed her happiness to hear the shouts and the encouragements of the fans during the song ‘Trust Me’, a moment that she qualified as ‘memorable’. 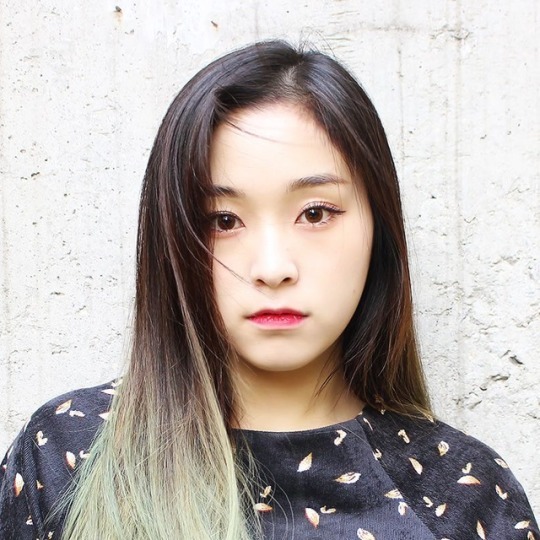 Another one mentioned the fanchants of the crowd before the curtain lifted, which made her realise the love that Dreamcatcher was receiving in France. To thank the fans for being present this evening, seven numbers that was corresponding to the wristband that the fans were wearing were drawn. Each winner was able to leave with a polaroid as a gift. The evening closed with an encore during which they performed ‘Fly High’ and ‘Good Night’. Yet, at the time of greeting the crowd one last time, the audience get plunged into darkness to make room for a surprise made to the group for the last concert of their tour! To make this moment unforgettable, all the crowd have illuminated the room with their flashlights while singing ‘Emotion’ to the members of the group. The artists, moved to tears by this gift, blew the candles of a cake before taking the French flag to immortalise this evening in the company of their French fans. The room was almost packed and the concert was an absolute success. We will remember this evening with the talent of the girls and their many interactions with the crowd. A beautiful moment worthy of sharing! 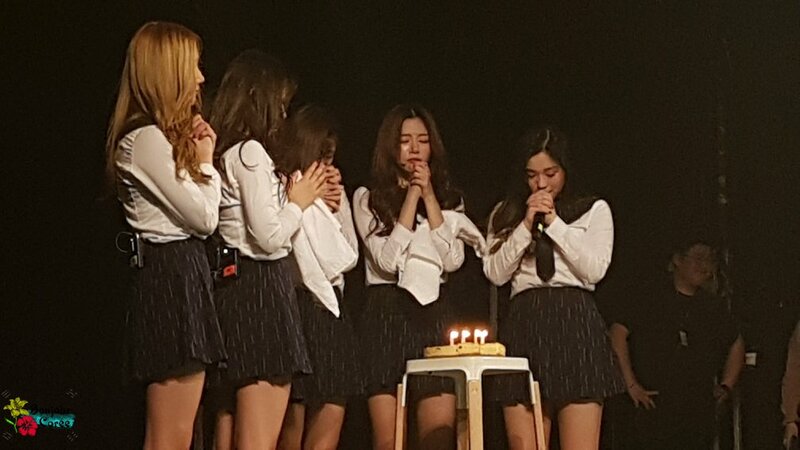 Despite some playback performances, Dreamcatcher offered their fans with their beautiful vocal performances through acappella. We will also remember their prowess at dancing and their synchronization, reminiscent of the group Infinite at their beginning. To the ones who missed the concert, do not worry! One of the girls called this evening as ‘her happiest day she lived as Dreamcatcher’, so we can expect the band that they will come back! Stay tuned! View all of the photos here!